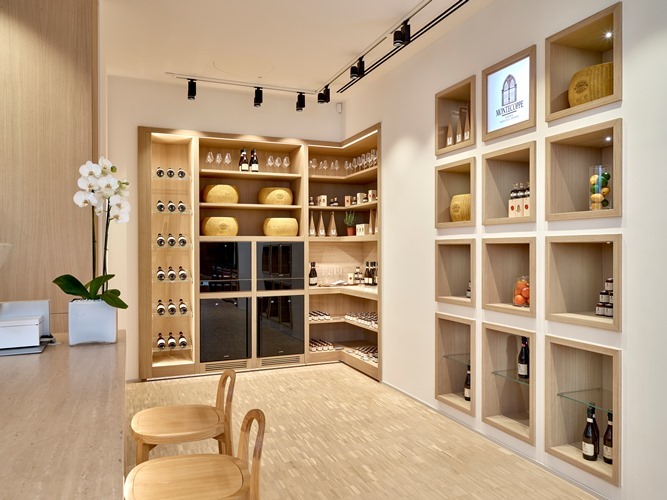 As to be expected from the Italian designers, the store interior is sleek and reflects the brand’s signature style. The ground floor offers an open plan retail space showcasing some of Smeg’s most successful ranges and new products. 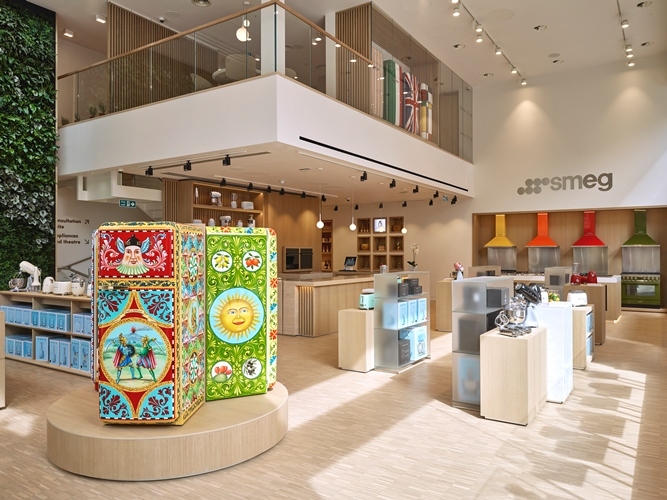 Customers can browse small and large domestic appliances and even try some of the products from Smeg’s Italian farm. Parmesan cheeses, balsamic vinegars, and wines can all be exclusively purchased in store. There is even coffee on tap from Smeg’s expression and coffee machines. 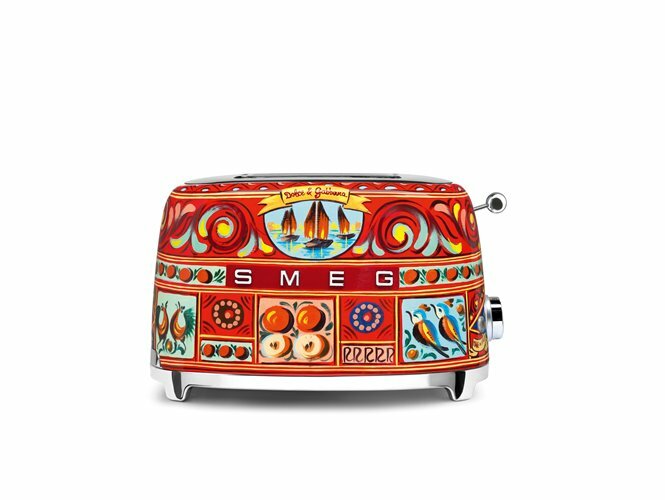 Smeg’s collaborative work with Dolce & Gabbana is located on the ground floor. It is impossible not to aspire to have one of the beautiful hand-painted fridges, kettles and toasters decorate your kitchen countertops. The ultimate show stopper in the store is the lush floor to ceiling of flowers and leaves. Upstairs on the mezzanine level, there is a lounge and meeting area, designed to remind customers of a library. From the street, passers-by will be able to spot the limited edition FAB fridges. 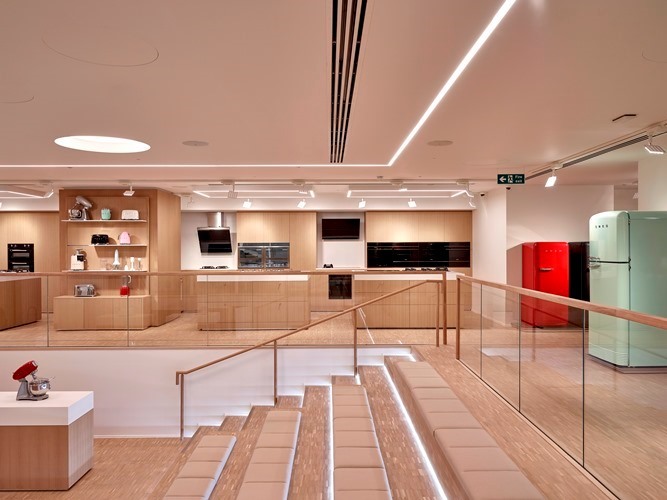 Downstairs in the basement, there is a purpose-built theatre for cooking demonstrations. Tiered seating allows visitors to watch live action screenings to see first-hand how the Smeg products work. 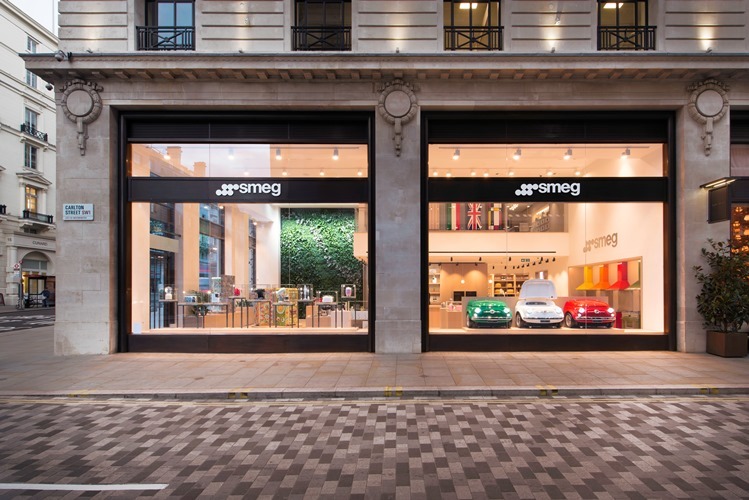 Overall, Smegs new London digs reflect the company’s keen eye for detail and its commitment to creating beautiful products. The use of natural wood and marble finishes and cream colour palette reflect the luxury vision that the company is associated with and make it clear that you couldn’t be anywhere else but in the heart of Smeg.